Home » О бизнесе » Is Switzerland The World’s Banking Hub? 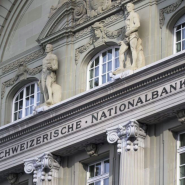 Swiss banks are renowned the world over for their quality and service, recent news reports indicate that Zurich and Geneva ranked high on the list of top financial centres in the world. According to the Global Financial Centres Index, financial centres in Zurich came in sixth place while Geneva ranked eighth on a global scale. Switzerland’s financial sector is growing, thanks to a steady national economy employing about 6% of the total workforce and accounting for 10% of the economic output. Let us consider a few reasons on Switzerland’s success as a banking hub. Switzerland has some of the most efficient and regulated financial centres in the world because of its stringent rules to combat money laundering and corruption. It also has strict rules to counteract illegally acquired assets of politically exposed individuals. Furthermore, the Swiss Confederation works collaboratively with other lands to actively combat organized crime and terrorism. In such instances banking secrecy can be lifted for judicial assistance in criminal matters involving money laundering, fraud, corruption and tax evasion. Apart from its stringent banking rules the Swiss franc is among the world’s most stable currencies add to that a host of private banks like UBS and Credit Suisse which are among the world’s leading banks, all contributing to the success of banking in the country. Opening a bank account in Switzerland has its own hurdles, the simplest way however is to visit the bank you are interested in and ask to open an account there. Depending on your situation and circumstances you will be asked to provide important documents i.e. your passport, visa, residence status, and other relevant documentation. After all the information as been verified and substantiated, your account will become active, it typically takes a week to a month for an account to become active, you will also receive all requested credit and debit cards after 10 days once the account has been activated. Switzerland bankers have years of experience combining practical knowledge and know how in the financial sector, add to that top quality service and expertise. In the international ranking Switzerland has six private banks that are topping the list. According to a recent survey in 2013 UBS ranked among the world’s top banks managing 1.7 trillion for high net worth individuals. According to Deloitte, the world’s leading international wealth management centre is still Switzerland, thanks to its high capital, managing assets of more than USD 2.0 trillion in 2014. FERZ SA will assist you with opening a bank account preparing all the required documentation and ensuring that process is as quick and straightforward as possible, call or email us for advice.